Endau Rompin National Park is located on the states of Johor and Pahang with an area of over 800 square km. 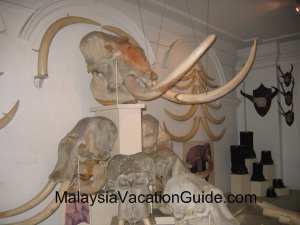 It is believed to be over 250 million-year old and is the second largest national park in Peninsular Malaysia after Taman Negara. This park is one of the most undisturbed lowland dipterocarp forest in Malaysia and using a four-wheel drive to come here is highly recommended as certain stretch of the road can be muddy and difficult to drive. The main river here is the Endau River. 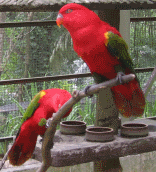 The Johor side was gazetted as a national park in 1993 and the Pahang side in 1988. Due to the limited access to this park, many of the flora and fauna are still in its natural state. 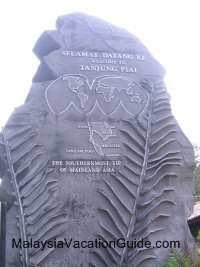 There are many well-marked trekking trails that you can explore and getting a guide is compulsory for your own safety. 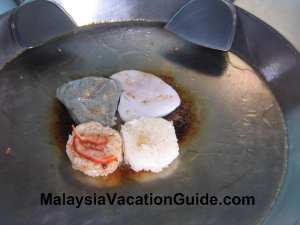 Most of the guides are the "orang asli" (indigeneous people) of the Jakun tribe. They have stayed and live here for a long time. Look out for the fan palms also known as "Livistona Endauensis". 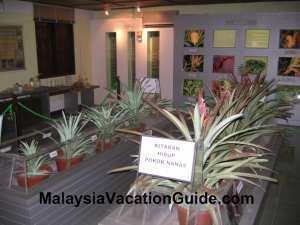 Ferns, pitcher plants, the climbing bamboo ("Rhopa Coblaste") and walking stick palm ("Phychorapis Singaporensis") can also be found here. The animals that inhabit this forest include the civets, sun bears or honey bears, gibbons, monkeys, Asian Elephants, Sumatran Rhino, tapirs, tigers, wild boars and deer. It will require a lot of patience to spot them in this vast jungle as most of the animals are secretive animals. Bird watchers will be glad to know that there are an abundance of hornbills, kingfishers, chirping drangos and argus pheasants to name a few. Trek to the highest waterfalls, the Buaya Sangkut if you have at least 3 nights here and to Upeh Guling Waterfalls if you only have 2 nights. Take a swim at Tasik Air Biru. 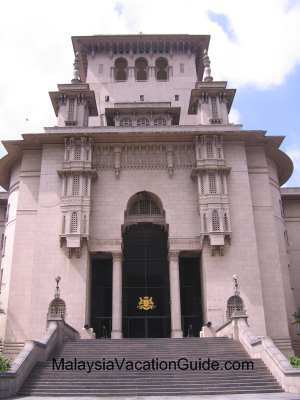 Trek on various trails and observe the flora and fauna along the way. Bird Watching. Remember to bring along a binocular. White water rafting from Kuala Jasin. The best time to visit is from the month of May to Sept. The park is closed from Nov to Mar due to the monsoon season. There are chalets and campsites that you can book to stay. Campsites are located at Kuala Jasin, Batu Hampar, Upeh Guling Kuala Marong and Lubuk Merekek. Chalets and dorms are available in Kampung Peta and Selai. Due to its limited infrastructure, it is better to join package tour as all the camping equipment will be taken care of by the tour operator. 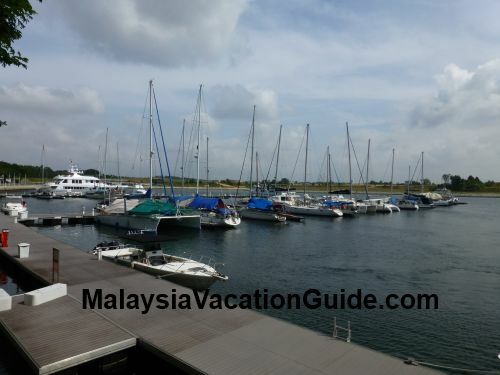 Most of the tour operators are based in Mersing, Johor. A typical cost per person for a 3D/2N stay is about RM350 to RM450. This price includes meals and transportation to the park. It will be advisable to bring along mosquito coils and insects repellent. If you are coming from Pahang, you will have to travel to Sungai Kinching base camp via Felda Seladang. Travel using a four-wheel drive is recommended. If you are coming from Johor, you can use the way through the town of Kahang via Kluang. You will reach Kampung Peta, an "orang asli" village. The second way is passing through the town of Bekok near Segamat. 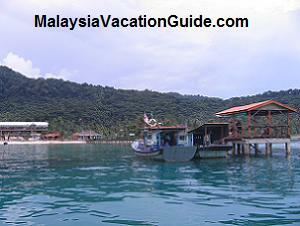 The other way to reach Kampung Peta is by taking a 5 hours to 8 hours boat ride from lower Endau River. Contact Johor National Park Corporation or Pahang Development Authority for more information.